WrapJax offers a complete suite of services ranging from custom designed vehicle wraps, color change (restyling) wraps, boat wraps, window wraps and more. Whether you simply need a single vehicle or entire fleet, our experienced staff is here to help. WrapJax is happy to assist our brothers and sisters in the industry that need assistance in local installation at one of our several locations as well. Simply let us know the details of your project and we will be happy to provide you with an estimate. Every project starts with a phone call or an online inquiry. 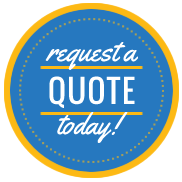 WrapJax will gladly provide you with a prompt estimate for your project providing that the customer is able to provide the necessary information for their project. That is where the real fun begins as you begin to see your project take shape as it moves from an idea to a visual concept. Once a budget has been established, we move to the process of working with your WrapJax Designer. After the design has been finalized, you are one step closer to seeing your project become a reality. It is during this design process that either your WrapJax sales rep or the designer will work with you to set a schedule to have your wrap installed. WrapJax works very hard to communicate with its customers on the length of time a project will require and moreover we are all sensitive to the fact that whether this is for a personal wrap or for a business, that it needs to be done as quickly as possible so that it is not a burden on our customers personal or business lives.